Seaford Real Estate Delaware Beach Search Results - Real Estate - Rehoboth Beach, Bethany Beach, Dewey Beach, Delaware - Sand Castle Realty. 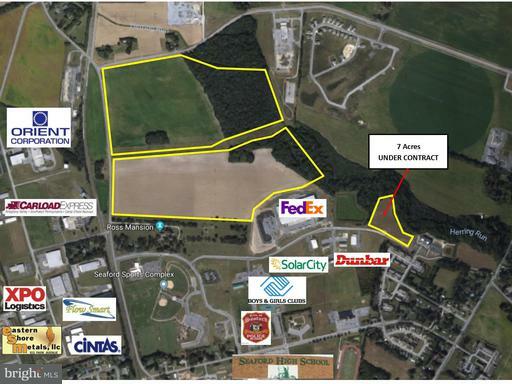 5-118 Acres in the Ross Business Park in Seaford, DE, located adjacent to the Seaford Industrial Park. $40,000 per acre. This site is partially served by public utilities. Perfect location for new businesses to become established or existing firms to expand. Zoned M-1 Light Industrial and allows uses as permitted in C-2 Highway Commercial. Located in business friendly Seaford, Delaware with no inventory tax and no sales tax.Economic incentives are offered through the City of Seaford.This location allows for overnight access to the Mid-Atlantic & Northeast Markets. 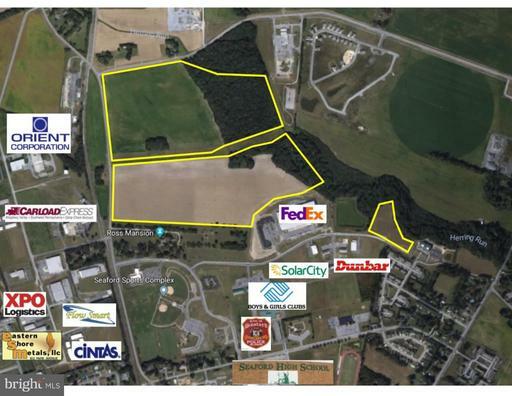 5-118 Acres development land in the Ross Business Park, adjacent to the Seaford Industrial Park. Property is partially served by public utilities. Wide variety of uses as permitted inC-2 Highway Commercial & M-1 Lt. Industrial. Business friendly Seaford DE has no inventory tax and no sales tax. Economic incentives offered through the City of Seaford. This location allows for overnight access to the Mid-Atlantic & Northeast markets. 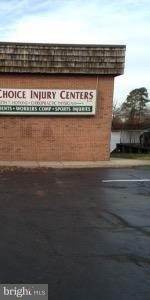 Great Business Location in the city of Seaford! It's located in a high traffic area on Eskridge Hwy. Less than a half mile off of Route 13. Approximately 25.70 acres of cleared land with road frontage running along three sides of the property. INVESTMENT OPPORTUNITY- 12,480 SF building situated on 2.46 +/- acres. Single, national credit tenant. Absolute Net. Completely hands free deal tenant takes care of everything. 11+ years remaining on initial term lease. 9% rental increases during option periods. 6% CAP. Located in the town of Seaford, DE. Investors!!!!! 66 Unimproved, city approved town home lots. The last set of built town homes in the community (14) were sold in less than a year!!!!!! Call agents for more details! A total of 104.48 +/- acres off Elks Road in Seaford. 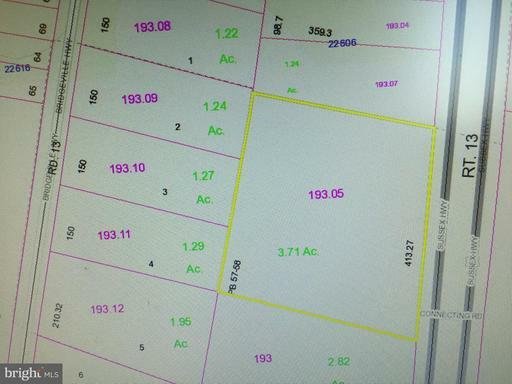 97 tillable acres. Property located along Hearns Pond. Current yearly rental income income- $107,400 +CAM. Potential Additional yearly rental income of $62,000. City sewer and water. Medical office building, directly across from Nanticoke Memorial Hospital. Waterfront private off street parking for 44 restricted spaces, plus unloading and loading spots in front of building. 8 medical offices, ranging in size from 1,320 Sq. Ft. To 2,520Sq Ft, allclass A+ space. All brick and steel construction of the highest quality. All Listings data based on information from Sussex County Association of REALTORS®, Inc which neither guarantees nor is in any way responsible for it's accuracy. All data is provided 'AS IS' and with all it's faults. Data maintained by Sussex County Association of REALTORS®, Inc. may not reflect all real estate activity in the market. Bennett Realty is a Real Estate licensee in the State of Delaware License Number: SCAOR6110.